Buying RTA (ready-to-assemble) cabinets for your kitchen or bathroom makes perfect sense as a cost-saving measure. When an RTA dealer or manufacturer sends you cabinets flat-packed in pieces, you don't pay for the company's labor to do the relatively easy work of assembling the cabinets. And because the flat-packed cabinets take up less volume than assembled cabinets, you also save money on the shipping. Provided you are up to the task of assembly—and it isn't a hard job—you can easily save 30 percent or more on the cost of cabinets. While RTA cabinets are available at some bricks-and-mortar retailers, such as Lowe's, Home Depot, and IKEA, the greatest cost savings come from online retailers, who can use their low overhead costs to pass along savings for you. The RTA cabinet business is a highly competitive market, with the potential for great savings for consumers. If you play the game right, you, too, can benefit. Here are some things to know about the business. Spend enough time looking at RTA cabinets online and it will start to feel like deja vu all over again: "Wait, didn't I see something called Sienna Rope 36A at the previous dealer?" Yes, you probably did. You will find different RTA dealers selling the same product, sometimes under the exact same name and product code. There is nothing inherently wrong with this. After all, you have the option of purchasing your Samsung Galaxy phone or Blue Diamond Almonds from multiple dealers. Why not RTA cabinets? The only kink to this argument is that it's not always apparent when RTA cabinets from different online retailers are coming from the same manufacturer. So the only way to accurately compare prices is to do detective work and compare cabinets from different retailers according to their detailed specifications, feature by feature. How do you know you're comparing the same product among different dealers? First, some dealers tend to use the same product names. For example, Hampton and Sienna Rope are names you frequently see and may indicate that you're looking at the same exact product. Also, you might even be lucky enough to find the same product code used by different dealers. A term like shaker, on the other hand, refers to a generic style and might be a different product from dealer to dealer that still looks much the same. Two shaker cabinets with exactly the same size but made by different manufacturers can be considered an apples-to-apples comparison. Second, compare every point of each feature. Make sure that you're looking at the same cabinet dimensions, door style, box and door construction materials, and drawer slide and door hinge mechanisms. Welcome to the Internet age. While you might expect every online RTA retailer to be based in a manufacturing facility teeming with workers, it's equally likely that the business is no more than a person on a couch with a pet cat nearby. But this comes with the territory when dealing with online retailers. If a brick-and-mortar location is important to you, then you shouldn't be ordering your cabinets online. What is really important in the online RTA cabinet world is the website interface and dealer performance. A small online retailer who knows the business can easily perform just as well and offer lower prices than the big brick-and-mortar RTA company that is complete with production facilities and warehouses. If you like the way the dealer operates, believe that their customer service is good, and have read many glowing testimonials, you may want to go with a specific dealer for a particular product, even if their costs are higher than another dealer. A particularly strong selling feature for a dealer is a price-match guarantee. The most reputable and successful RTA cabinet dealers will match prices if you demonstrate that a competitor is offering the same product for a lesser price. The true price of purchasing online cabinets is the product cost plus the shipping, and you should be aware that shipping costs can sometimes be more than the cost of the cabinet itself. After all, It is no inexpensive feat to ship a heavy cabinet from an overseas factory, through a port, and to your home. And don't be fooled simply because the advertised price from one dealer is notably less than the price on the comparable product from other online retaller—the apparent savings may vanish entirely when marked-up shipping costs are added in. For nearly all online retailers, per-item shipping costs are greatly reduced when you buy large orders. On orders above $3,000, shipping costs are often greatly reduced. Make sure to price your cabinets on an entire-kitchen basis, not by individual cabinets. As the saying goes, "prices are subject to change," and nowhere is this truer than in the online RTA cabinet business. Because RTA is a highly competitive business, prices fluctuate. Costs of factory manufacture may change suddenly; or fuel costs may change, affecting the costs of overseas shipping. Changes in global politics may radically affect import tariffs. All these cost changes experienced by the online retailer will affect the price you pay as a consumer. Prices can literally change overnight, so continue comparison shopping right up to the point where you make the call or place your online credit card order. Seek prices based on a complete order. 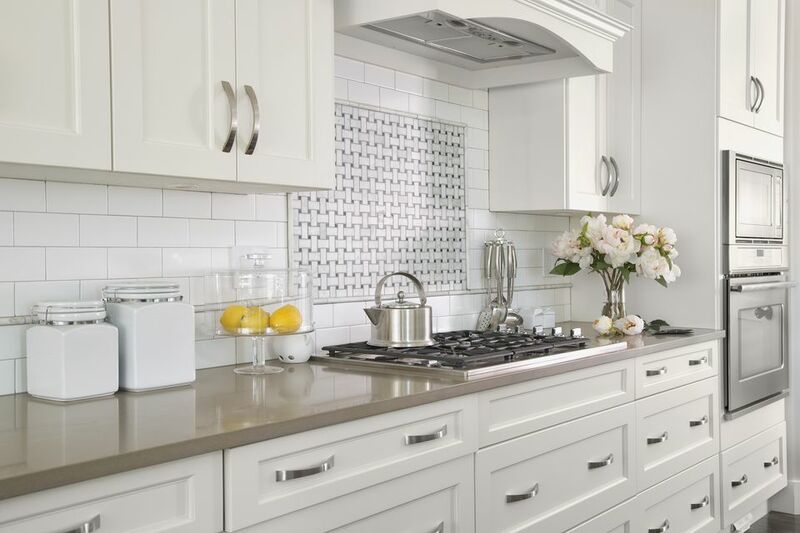 The only way to price out cabinets is to come up with the full kitchen or bathroom assortment of needed cabinets and use that as the basis for pricing. Start with one of the bigger companies that has a good user interface, such as the RTA Cabinet Store. Print out your shopping cart, but do not order. Compare the costs of other companies. Using your initial shopping cart list, price out the same items at other RTA companies. You may not be able to find exact items, but unless you have exotic tastes, you can come quite close. Add in shipping costs. As you go along, be sure to bring the order process far enough along so that you can get estimated shipping costs. This often is the deciding factor. You have made no commitment until you provide credit card information. Request a price match if you like the dealer. By this point, you have a good feeling for which dealers seem good...and those that don't. If you like a higher-cost dealer, take advantage of price-matching. Even if the company doesn't have a published policy, don't be afraid to contact the customer service department and ask. You'll be surprised at how often the company will match lower prices from competitors.